I am an accomplished technology and management, consultant, author, speaker and instructor. I help organizations make sense of and leverage disruptive technologies such as Artificial Intelligence, Machine Learning, Big Data, Blockchain, and IoT. A.J. Rhem & Associates, Inc. This is the introduction video to the 2-day Information Architecture course. This introduction informs potential students on the topics that will be presented and what to generally expect from the course. 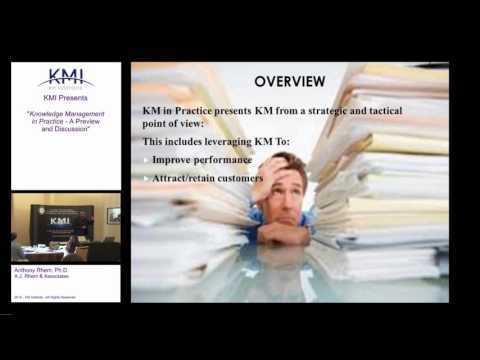 This video presents an introduction to my book "Knowledge Management in Practice" at the Knowledge Management Institute Certification Class in Washington DC.